Hailed as a choreographer “with an imagination so exuberant that one could not be sure how one movement led to the next” and “not only inventive but heart-rending,” Jennifer Hart has been commissioned by Ballet Austin, Ballet Austin ll, Ballet Nouveau Colorado (now Wonderbound), James Sewell Ballet, Minnesota Dance Theater, The Walker Art Center’s Momentum Series, The McKnight Fellowship for Dancers, Metropolitan Ballet Project, University of Kansas, University of Massachusetts, Lawrence Ballet Theatre, and Merick Strategies for its production of Leonard Bernstein's "Mass." In 2011, Hart was awarded a New York City Ballet Fellowship and won third place at the Saint-Sauveur International Choreography Competition. She received second place at Ballet Nouveau Colorado’s choreography competition, and was one of three winners of the University of Kansas’ competitive choreography competition. She was chosen three times to present work at Ballet Builders, New Choreographer’s on Point in NYC. She was commissioned by University of Massachusetts in the fall of 2013; the work was chosen for the National College Dance Festival at the Kennedy Center, June 2014. In March 2015, she premiered a new ballet, "To Here," for Ballet Austin’s Director’s Choice. In 2014, she formed Performa/Dance with Ballet Austin dancer Edward Carr. Performa/Dance launched its inaugural show. Ignite: Three Works, in June, 2014. Her work for Performa/Dance was awarded four Austin Critic’s Table awards for Best Short Work (“On Truth and Love”and "Camille: A Story of Art and Love"), Best Choreographer ("Fellow Travelers" and "Murmuration") and Best Dance Concert (Ignite: Three Works). Along with her work in concert dance, she has choreographed and performed cabaret shorts for nightclubs and television. She recently choreographed and co-directed the epic Bernstein's "Mass,' a work involving 300 performers. She trained at Minnesota Dance Theatre, Pacific Northwest Ballet and San Francisco Ballet. Her performing career includes Minnesota Dance Theater, Ballet of the Dolls, and L.A Chamber Ballet, as well as independent choreographers. 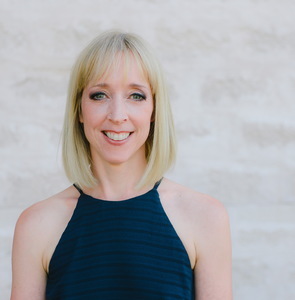 She choreographs yearly for Ballet Austin’s apprentices and Fellowship recipients, teaches full-time in the academy, and serves as Curriculum Director for the lower levels of the school.